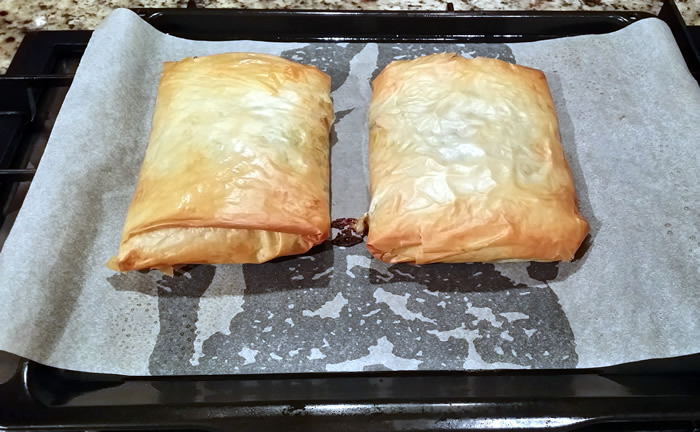 The only fiddly bit in this recipe is preparing the filo pastry, but if you follow the instructions on my Pork Feijoado Pies recipe you will have it sorted in a flash. 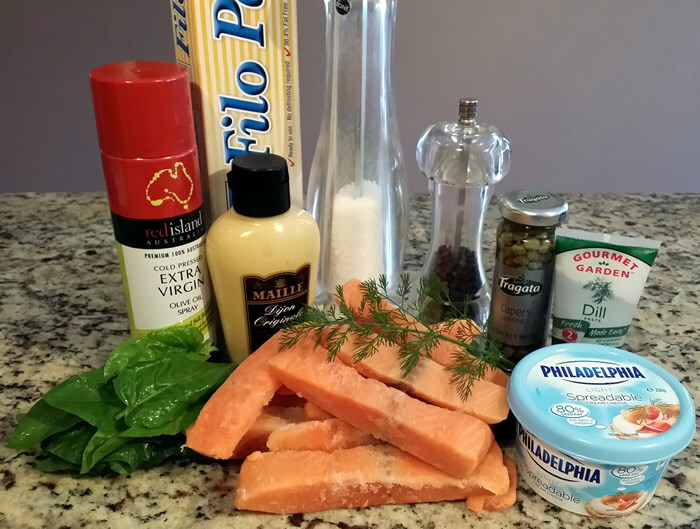 This same recipe could be used to make entree size pies or even party nibbles, by cutting the salmon into smaller pieces and once the large sheets of filo are prepared, cut them into smaller pieces and then add the other ingredients and fold up to suit the size of the filo, or even instead of cutting each pie into two for a main course, cut each pie into four to serve as an entree if you don’t want to make separate parcels. 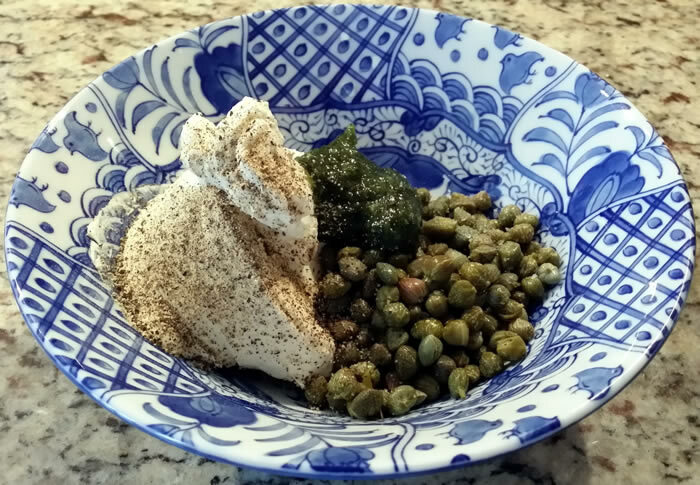 Mix together cream cheese, capers, dill paste, mustard and a good grinding of salt and pepper. 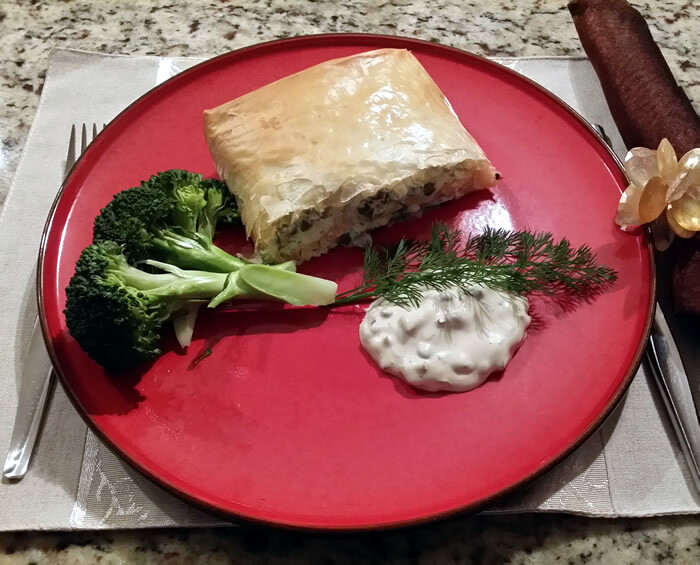 Divide spinach leaves, then salmon, then cream cheese mixture between the two lots of prepared filo, placing closer to one end than the other. 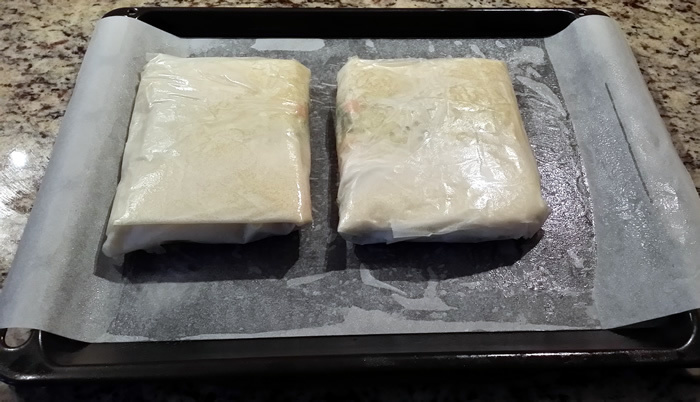 Fold in the sides, then fold over to make a package encasing the filling. 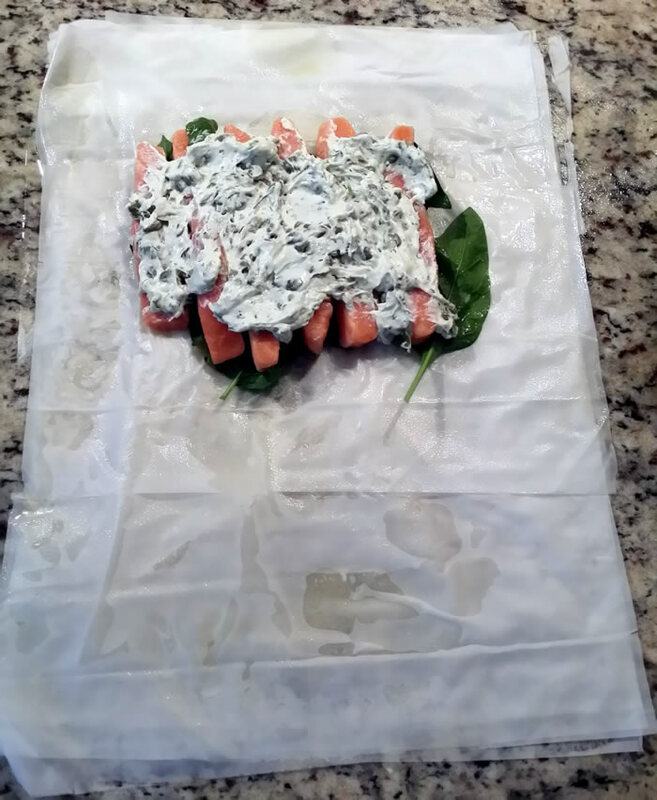 Place on a tray lined with greased baking paper, with the seam and fish underneath and the cream cheese on top. Slice each parcel in half and serve immediately with tartare sauce and steamed green vegetables or salad, garnished with dill.